With the arrival of April in the world, the first quarter has been completed in 2019. What is the fundraising, issuance, investment, and income of the trust industry? 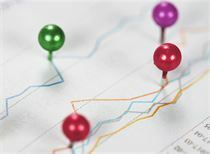 The report of the Benefit Financial Research Institute (hereinafter referred to as “Use Benefit Trust”) shows that the trust industry as a whole recovered in the first quarter of 2019. The scale of the collection of collective trust products increased by 18.62% year-on-year, and the fundraising scale increased by 31.56% year-on-year, but the average expected rate of return is now showing signs. Among them, the establishment of the basic industry collective trust increased by 161.27% year-on-year. In the first quarter, the collective trust market picked up, and the size of fundraising and issuance increased year-on-year. Be relaxedcurrencyAffected by policies and seasonal factors, the scale of fundraising for collective trust products has rebounded sharply. 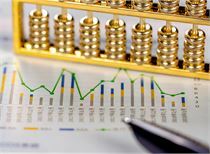 As of April 4, a total of 60 trust companies in the first quarter of 2019 raised 4,277 sets of collective trust products, a decrease of 6.90% from the previous month, and raised funds of 468.294 billion yuan, a decrease of 2.66% from the previous quarter. Compared with the same period of last year, the scale of fundraising for collective trust products in the first quarter increased significantly by 31.56%. In the nearly one year after the introduction of the new asset management regulations, trust companies have adjusted and transformed their business in terms of risk control and business compliance. 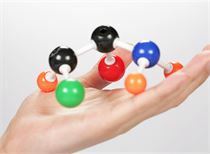 In the first quarter of this year, a total of 64 trust companies issued 4,699 sets of collective trust products, a decrease of 13.08% from the previous quarter; the issuance scale was 566.681 billion yuan, a decrease of 5.46% from the previous month. Compared with the same period of last year, the scale of the collection of collective trust products increased by 18.62%. Yu Yi, a researcher at Yiyi Trust, analyzed the reporter: “There are three main reasons for the recovery of the collective trust market. One is the loosening of monetary policy, the relatively abundant market capital, and the improved financing environment. The second is the adjusted rebound of the trust company to adapt to regulation, including In the aspects of product design, risk control and channel construction, the third is that trust products are favored by investors with high returns and low default risks, and the recruitment situation is hot." 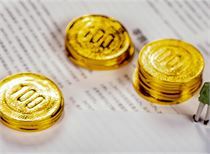 Yuan Jiwei, a senior trust researcher, also explained to reporters: "The warming of the trust market is related to the impact of the new regulations on asset management. The trust company will carry out transformation and development and improve the ability of active management. On the other hand, it has similar funds for trust products. The products are relatively small and have a certain scarcity, which is favored by investors." In terms of yield, the average expected rate of return on collective trust products established in the first quarter of 2019 was 8.24%, an increase of 0.02 percentage points from the previous quarter and an increase of 0.87 percentage points year-on-year. The benefit trust believes that the average expected rate of return on the collective trust products is now showing signs. 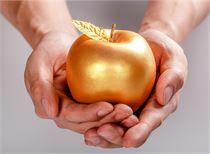 According to the analysis of the benefit trust, since 2019, the monetary policy has been relatively loose, the market funds are abundant, and the financing environment of the enterprise has improved. Therefore, the high income that has continued from 2018 may end in 2019. At the same time, it also pointed out that the transmission mechanism of wide currency to wide credit is still hindered. Although the financing cost of enterprises has declined, the decline will not be too large, and the average expected return of collective trust products is unlikely to fall. In the first quarter, a total of 55 trust companies disclosed the expected rate of return on their products. Among them, there are 23 companies with an average yield of more than 8.5%; 13 with average yields ranging from 8% to 8.5%; 15 with average yields ranging from 7% to 8%; average yields below 7% There are 4 homes. In addition, in the first quarter of 2019, the yields of collective trust products in various fields of investment were significantly different. Data Display,real estateThe trust yield was 8.34%, a decrease of 0.08 percentage points from the previous month; the basic industry trust yield was 8.77%, an increase of 0.02 percentage points from the previous month; the yield of industrial and commercial enterprises increased by 0.07 percentage points to 8.28%; the financial product yield 7.35%, a decrease of 0.09 percentage points from the previous quarter. The average yield of products collected in the basic industries and industrial and commercial enterprises continued to maintain an upward trend, and the average expected rate of return on real estate and financial trust products declined slightly. In the first quarter of 2019, the collective trust products invested in the basic industry rose against the trend, which was the biggest growth point of the collective trust. The establishment of the basic industry collective trust was 114.957 billion yuan, an increase of 33.11% from the previous month and a surge of 161.27% year-on-year. Yuan Jiwei analyzed the reporters. On the one hand, under the downward pressure of macroeconomics, the government strengthened infrastructure construction. On the other hand, since the fourth quarter of 2018, the financing demand of local financing platforms has increased significantly, and the financing costs have also increased. This has led to continued expansion of the circulation of infrastructure trusts. "From the growth rate, last year's low base also helped to amplify the growth effect." Yu Zhi analyzed to reporters that behind the "arrogance" is more of a policy factor. Looking back on 2018, influenced by the policy, the development of basic industry trusts showed the characteristics of “first suppression and then promotion”: in the first half of the year, the supervisory layer focused on clearing local government debts; in the second half of the year, under the pressure of economic downturn, macroeconomic policies began to be built. Tilt, basic industry trusts are gradually picking up. Since the beginning of 2019, the first is the speeding up of infrastructure construction, a large number of projects have been approved, and the financing needs of local platforms have exploded. Second, local debt clean-up and platform risk release have created favorable conditions for the provision of basic industry trusts. Can this rising trend continue? Yu Zhi replied: "This kind of growth is likely to continue, the downward pressure on the macro economy is still there, and the possibility of policy change is not high. Infrastructure is still an important means of macroeconomic regulation and control in 2019." Yuan Jiwei believes that this round of political letter project is difficult to replicate the growth trend of the previous round of economic downturn. The main reasons are: the scale of local government bond issuance increased this year, and this will gradually ease the liquidity of local financing platforms as time goes by. Affected by seasonal factors, the scale of the collection of real estate collective trust products declined in the first quarter, but the proportion of scale still occupied the first place, and it is still one of the important businesses of trust companies. 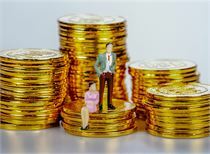 In the first quarter of 2019, real estate trusts raised 167.479 billion yuan, a year-on-year increase of 25.71%. In the next few years, can real estate collection trust products maintain the top position? “The financing demand of the real estate industry is still high, and other financing channels are limited. In the short term, the trust financing channel is still more dependent. In addition, in the complex external environment, the controllability and profitability of real estate trusts are irreplaceable by other businesses. 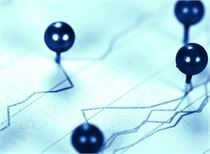 Therefore, the short-term real estate trust will still be an important support for the trust fund investment.” Yuan Jiwei analyzed, but also see that excessive involvement in the real estate sector, high concentration will bring greater risks, trust companies need to strengthen individual financing The concentration of the main body, the regulatory authorities should also give window guidance to trust companies whose real estate trusts grow too fast. “The key to the future trend of real estate trusts lies in the development of the real estate market and the orientation of policies. From the market situation, the sales of real estate market showed signs of rising in March, and the sales of nine large developers increased by 20% in March. %, the real estate market may be able to pick up in the second half of the year." Yu Zhi analyzed with reporters. He further added: "From a policy perspective, the real estate industry as a pillar industry, the economy is large, involving a wide range of issues, and the problems involved are complex. The goal of completing the 'household and non-specified' needs a long-term process, so the overall policy environment It is still relatively stable.” As a typical example of high-leverage operation, real estate enterprises have huge financing needs, and there are many opportunities for cooperation between real estate enterprises and trust companies. Due to the short-selling of the real estate market and the improvement of the threshold for the financing of housing enterprises, the trust funds are gradually concentrated in the head housing enterprises and high-quality first- and second-tier cities. 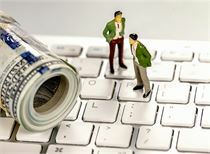 Starting at 1 million yuan, the low threshold family trust came. Executive change season: Who is in charge of 23 trillion trust assets? The big guys behind the 23 trillion trust assets! The scale of the first quarter of the collection trust increased year-on-year. The fundraising of the basic industry was “arrogant”. The scale of the trusteeship situation is stable. At the end of the first quarter, the trust industry's entrusted assets reached 22.57 trillion yuan, a slight decrease of 0.96%.